Mim Skinner in Causes on 23 October, 2015. A 2013 report on global food waste estimated that two billion tonnes, or around the third of the food we produce globally, goes to feed bins rather than bellies. This equates to 4,600Kcal of food being produced per day for each person living on the planet, according to Tristram Stuart in ‘Waste: Uncovering the Global Food Scandal’. On a smaller lever, a European Commission report estimated in 2010 that we wasted 89 million tonnes in the EU, and that amongst European countries, the UK fares the worst. In the UK alone, nearly 30% of our crop is never harvested due to rigorous cosmetic standards or cancelled orders from supermarket giants. 1.6 million bananas are thrown away each day. 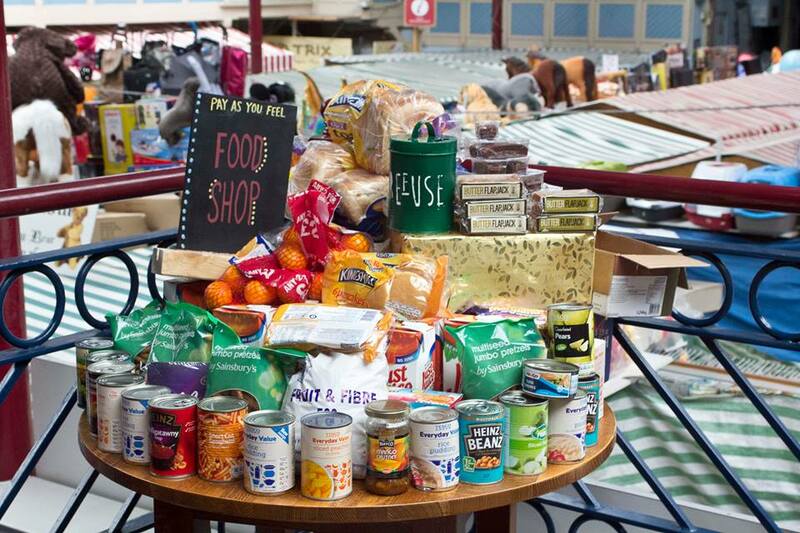 The average UK household throws away 22% of food bought, according to Love Food Hate Waste. As we increasingly adopt Americanised shopping and eating habits – shelves stuffed full, ‘buy-one-get-one-free’ offers, processed foods, a preference for shiny round apples which sends wonky ones to landfill and overcautious sell-by dates amid fears of being sued – the tonnes rack up. In the context of global and local hunger (County Durham now has twenty-five Foodbank distribution points), we should be rioting. But the fact is that protest lines about such horrific waste run straight up to the tills at Tesco. We might care, but not enough to change en-masse the way we shop, live and eat. Waste has become the norm in our food systems. There are businesses that make their living processing this waste. Supermarkets and farmers factor it in to how they run. 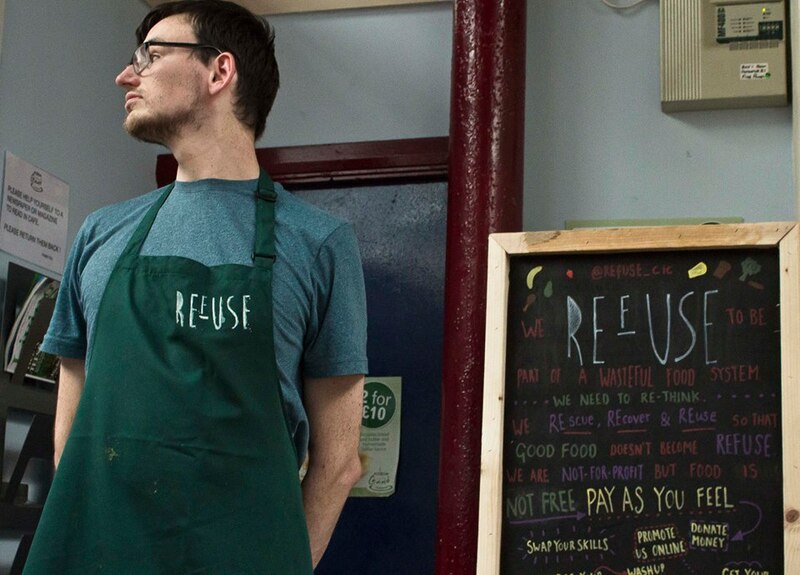 REfUSE, our Durham-based pop-up cafe, is a small local effort to divert this ‘surplus’ food to feed people. 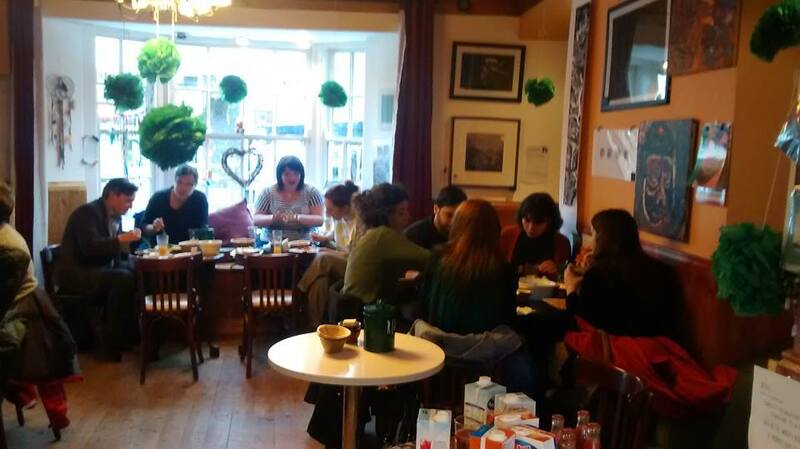 We operate on a ‘Pay As You Feel’ basis, allowing people to offer time or skills in exchange for food. We borrow kitchens, collect from shops and cook with volunteers. Our launch night in June saw over 256 people fed by 325 kilos of food and drink headed for landfill, with the support of 35 volunteers in the weeks leading up to it. After just two sessions we have been overwhelmed by the support, hard work and kindness of partners and volunteers and interest around the city. We have found wonderful partners in the Indoor Market who have gone so far out of their way to cut waste and feed people. On our launch night, we melted a plastic tray across the catering oven, lent to us by Ian from the fish stall, and he smiled and reached for the cleaner. On another night, James from the Jumping Bean cafe stayed late into the night to help us clean up. Volunteers have spent hours chopping, serving and cleaning. But we’re not a charity and we’re not just a cafe. We are part of The Real Junk Food Project, a network which stretches across the UK and the world. Rather than being just a project which seeks to skim the top from the global waste scandal to divert to the local community, we are a platform for campaign and for raising awareness. We want you to eat food that was destined for the bin and be struck by the injustice of the system that we’re forced to be part of. We want to attach value to this food, subverting a system which says that, despite the environmental and financial cost, it has no value. We want to celebrate people’s time, good will and skills in a government and society which increasingly speaks of value in terms of cash. We want you to come and join our little movement. To get angry. To eat some delicious food and listen to some music. To offer your skills. To join a communal table and meet someone you usually wouldn’t get to meet. 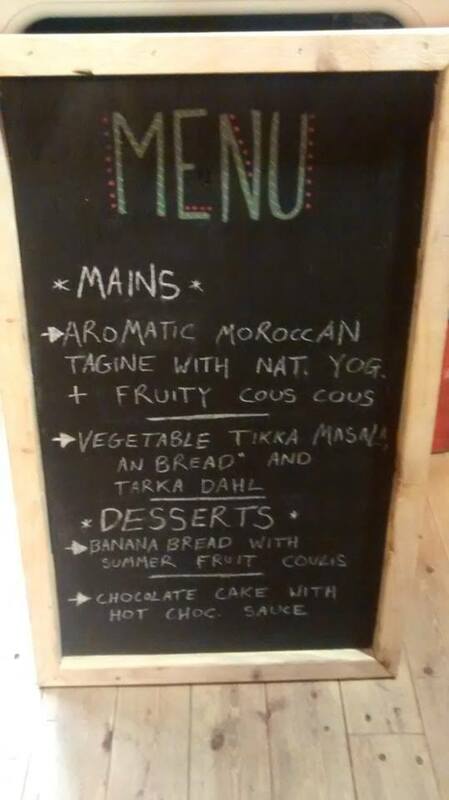 At the moment we’re running once a month, in different venues around the city. ‘Like’ us on Facebook or follow us on Twitter at @refuse_cic. We need cooks, musicians, washer-uppers, collectors, bloggers, waiters and guests.